Are They in Your Vehicle? Rodents are everywhere, and they can do considerable damage when they invade your vehicle. They might decide your car is a safe place to make a nest and a handy site to store food. If you can discourage them, you may win the battle. There are dozens of techniques used to prevent mayhem by the destructive critters, and they work especially well in combination. Multiple lines of defense seem to work best. Leave the hood up. Rodents are looking for a dark place to nest. This idea may help discourage nesting, but may not be the ultimate solution. Hide your dog food, cat food, and birdseed. Dog food is the gold standard of rat society. Rats will stuff pounds and pounds of it into the air cleaner, glove compartment, or other empty spaces in your car. Remove or seal off rat hiding places near the car. Cut down nearby shrubbery and vines where they can hide. If you have a garage, block rat-sized entrances to the building, or spray openings with substances that rats hate (see below). Block small entrances to the vehicle engine compartment. Some car owners place traps around the vehicle or on top of the wheels, since rats climb wheels to get into the engine. Some block engine openings with wire screen. Use electronic deterrent devices. Rodents can hear ultrasounds that we cannot, and it annoys them. Some learn to ignore it. Those with strobe lights like Mouse Blocker or Rid-a-Rat may work for longer periods, as they disrupt the darkness that rats prefer. Make your engine and its entrances smell bad, at least to rats. Motorists have had success with peppermint oil, powdered fox urine, used cat litter, cat hair, dog hair, Pine-Sol, Irish Spring soap, red pepper, and laundry dryer sheets. The people who make "Rataway" tell you to spray it on all the wires in the engine. Do not let the car sit unused. 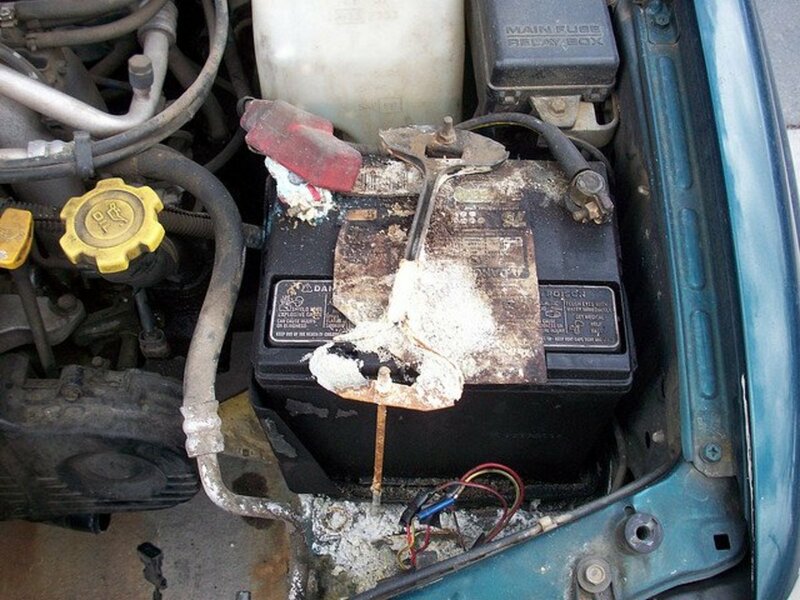 Drive it once in a while to discourage rats from doing mechanical or electrical work. Finally: use traps to remove the rats who get through. The old-fashioned snap traps still work. Glue traps work too but may torture the rat. Humane cage traps may work, but relocating the varmints can be a temporary fix.. Toxic baits do kill rats eventually, but are likely to also poison predators, including domestic animals and pets. It is a myth that small autos are powered by hamsters running on exercise wheels, but it is an unfortunate fact that rodents can live and create mayhem in engine compartments. In fact, the damage done to vehicles by mice, rats, and their many cousins can be considerable. Gnawing wires, ripping out insulation for nesting materials, or squirreling away caches of nuts and trash in car and truck engines can destroy some of man's most sophisticated transportation technology and cause significant financial loss. This is especially true if you live in a rural area. You need your car to get to your job or to go shopping, but wood rats and other critters want it for their homes. Rural people know that a seldom-used old car may be taken over by rodents, but the critters can also get excited about brand new cars. In less than 24 hours, they can destroy much of the wiring. Some plastic insulating material now being used in cars seems especially tasty to the tiny invaders. 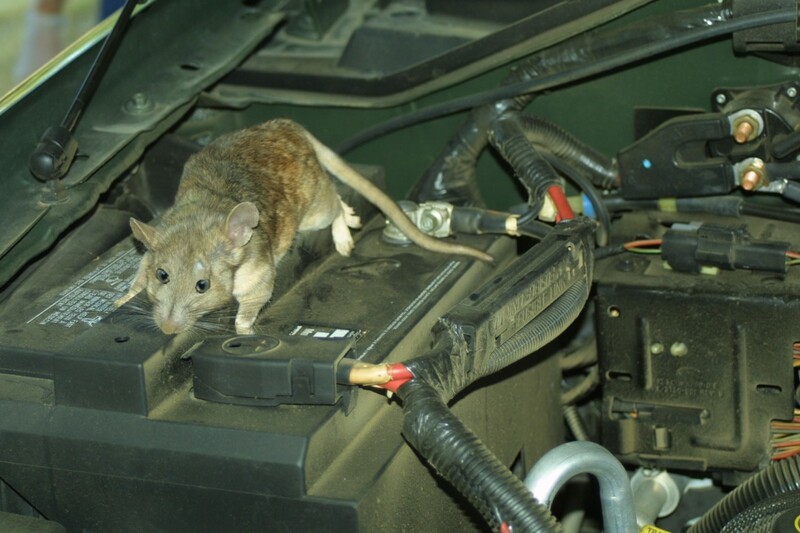 When mice chew the insulation off wires that connect batteries, alternators, or anything electric to anything else, they cause short circuits that result in costly restoration. After the repairs, mice may go back to work and cause the same problem again, unless you take steps to prevent them. "Apparently they have nothing but time," says Rick LeDuc of Rick's Automotive Service in Mariposa, California. He has found elaborate nests in intake manifolds and even litters of tiny pink mice inside air cleaners stuffed with bedding material. In one of the more ambitious nests, he found part of a broom handle that had been dragged into the inner workings, as well as "a couple of pounds of dog food." In another instance, he said that only the wires coated with blue plastic insulation had been gnawed. "They are supposedly color-blind, but sometimes they pick out one certain color of wire to chew," he says. "Probably there's something about the taste or texture." 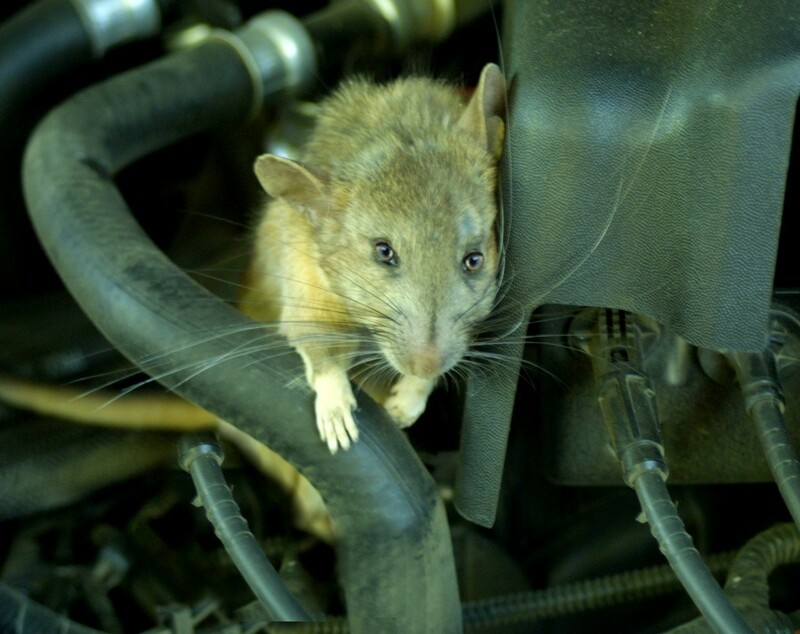 Several auto repair businesses report multiple incidents of rodent damage each month. The time of year doesn't seem to matter. Hoarding, nest building, and wire gnawing are year-round occupations. Repair costs can be as high as $500 and sometimes much more. In at least one case, so much wiring damage was done that the car was not worth fixing. Rural car owners sometimes come into a repair shop complaining that they "smell something burning.” Such an odor may come from smoldering grass or pine needles tightly packed into a carefully fabricated nest, or from burning droppings, stashed food, pack-ratted items, or the deceased bodies of the actual culprits. A lot of people are surprised to discover the source of their problems. Why are so many furry occupants living where they are not welcome? This is not their natural habitat. Are they planning to take over the planet by disabling our vehicles? The real reason rodents seek a home under a hood is that it provides a dark, warm, secure place to hide . . . at least until the ignition key is turned. The start-up of the car’s machinery can be deadly for the critters, and sometimes can cause serious consequences for the drivers as well. An acorn, rolling into a crevice after a driver stepped on the gas pedal, can keep the throttle open. The driver of a late model Ford truck was taken for a wild ride on a winding country road, and severely damaged his brakes before he could shut off the power. The wood rat culprit apparently abandoned ship before the adventure, but his hoard of nuts almost caused a real disaster. The truck required towing and lots of professional attention. John Muir, the famous Yosemite naturalist, called the wood rat (or pack rat) "a handsome, interesting animal". In his detailed descriptions of Sierra flora and fauna, Muir also opined that "no rat or squirrel has so innocent a look, is so easily approached, or expresses such confidence in one's good intentions." The comments of today's vehicle owners plagued by rodent motor damage are much less complimentary -- and are often unprintable. It may have been easier for the poetic naturalist to appreciate the animal, since he usually traveled on foot, rather than by SUV. 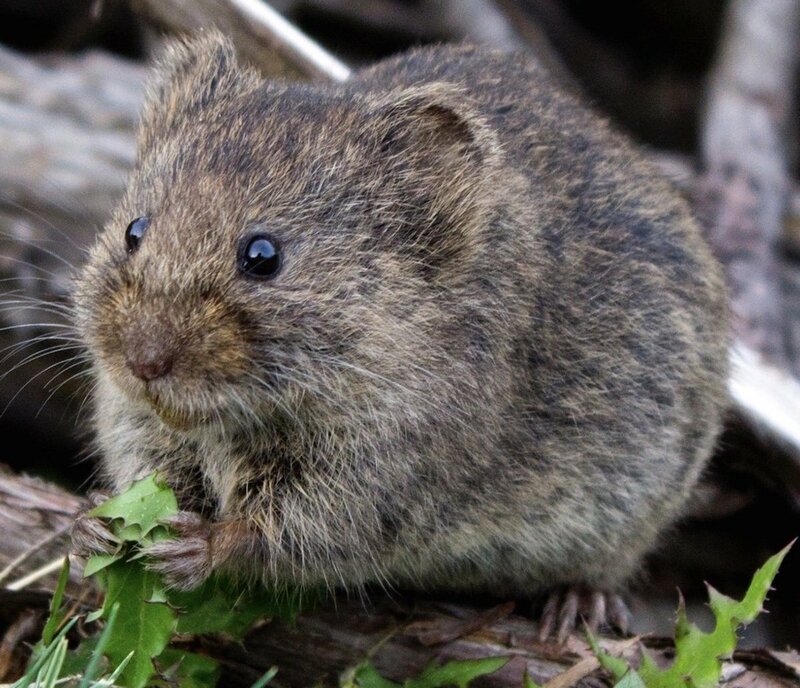 Wood rats are notorious for accessorizing their nests with things they collect, ranging from natural curiosities like bones, cones, and stones, to the tools, trash and treasures furnished by humans. Muir recorded incidents of rats stealing combs, nails, tin cups, eating utensils, and spectacles, which he supposed were used to strengthen rat nests. Once inside an engine compartment, the rats see a mother lode of wonderful man-made objects, with wires and hoses and tubes connected to a spectacular variety of shiny metal and plastic components. To this assemblage, they will add their acorns, pine needles, hardware items, bottle caps, and whatever ornaments suit their eclectic decorating style. 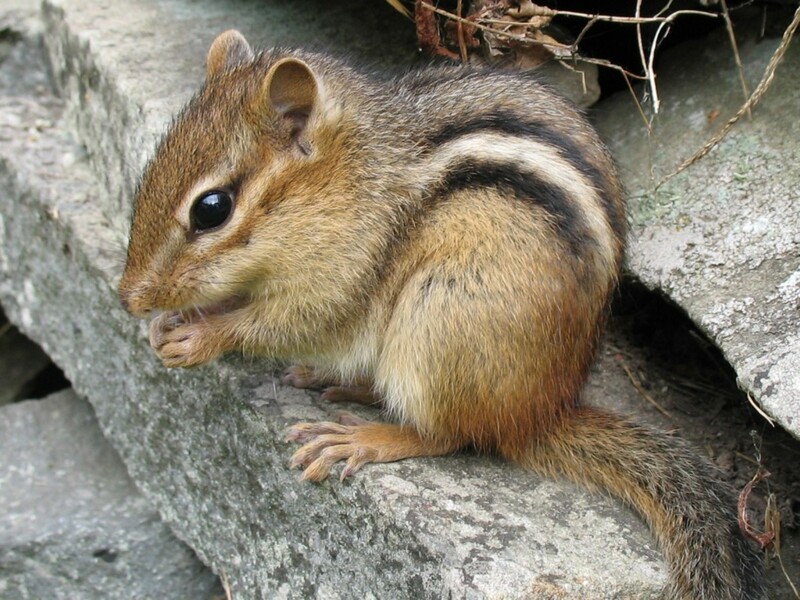 Even before the era of motorized vehicles, settlers contended with these tiny terrors, doing their best to keep rats and mice out of their houses and barns. Hard rock miners, however, actually encouraged rats to inhabit the mine tunnels, by saving crusts and crumbs of bread for them. The rats acted as a low-tech safety system. Being ultra-sensitive to tremors or quakes, they provided early warning of impending collapses or cave-ins. If rats suddenly went running for the exit, the mine workers were right behind them. This may give us a clue that a deterrent that causes vibration or sound waves, may be a good choice. One deterrent that is often reported to be effective, is the use of an electronic rodent repeller such as MouseBlocker. The low-voltage devices run on your car battery and are easy to install. They emit an ultrasonic frequency heard by rodents, not people. Some of them also activate flashing lights. Another advantage of such products is that you do not have to deal with poisons or messy cleanup of traps. One of the newest products addressing the wire-chewing problem is Honda Motor Tape. It is infused with pepper and perhaps some other deterrent and is used to wrap the wire harness. Early reports say it works well. It is not cheap, but it costs much less than replacing an entire electrical system in your vehicle. So are there other ways that pesky little wire nibblers and insulation grabbers be discouraged? Could a car be disguised with animal pelts, to make it look like a rat-eating predator? Would a ground squirrel be tricked into thinking your car was a mountain lion or a giant badger with the help of a spectacular paint job? Or perhaps one of those big plastic owls could be stuck under the hood and wired it up with a speaker playing annoying rap music. Some people park their car over a bucket of mothballs, which is apparently repugnant to rat olfactory receptors. The family dog or cat may help to keep mouselike pests away, though if the cat gets into an engine, it's bad for everyone—usually worst for the cat. There are also little buzzer things that are supposed to keep pets off the furniture. They might work. The problem is not going away, so drivers might be wise to pay a little extra attention next time they notice an unfamiliar squeak in their vehicle. Some of them know where you park your car. Yes, but I solved it. Yes, still fighting the critters! 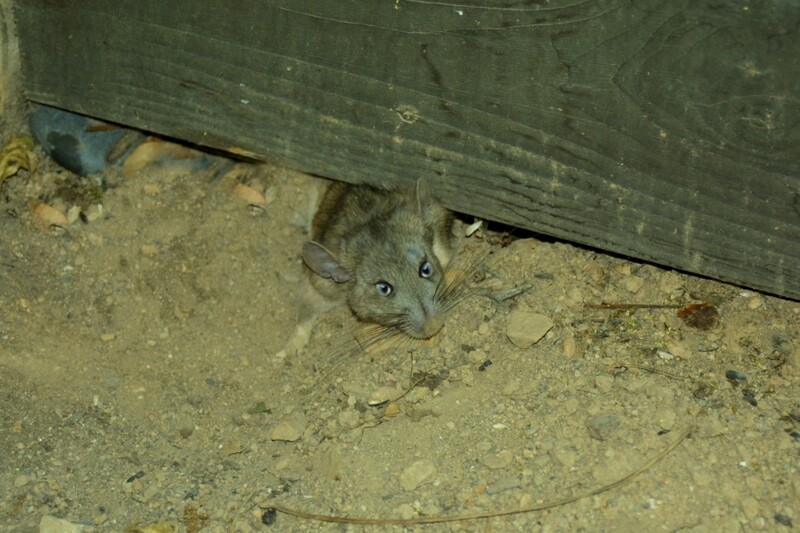 Realistically, getting rid of rats may be a lengthy project, requiring multiple strategies. Every situation is different. 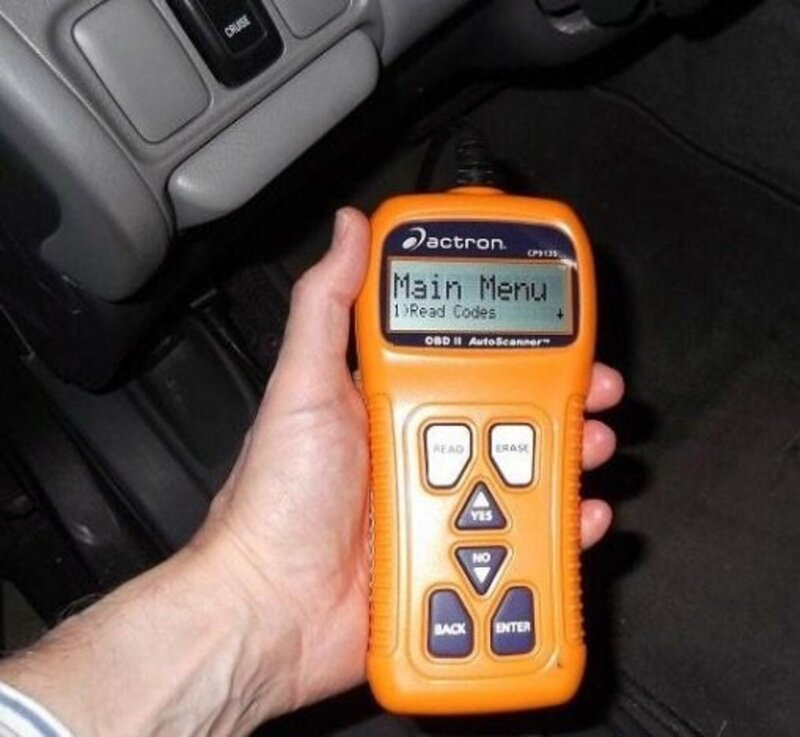 I have hundreds of anecdotes in over 270 comments sprinkled with suggestions, and you can read them all, or read my new article summarizing them, "Getting Rid of Rats or Mice in Your Vehicle: Reader Suggestions." The dryer sheets do not work. The rats just made a nest with them in my car. I had eight baby rats to deal with, not to mention chewed up wires. Do you have any other suggestions on how to keep these critters out? I suggest that you look through the other suggestions and try two or three of them at the same time. Traps or another deterrent might work. How often do I have to spray the tires and engine with Pine-Sol? If you can't smell it, it is probably time to reapply. What if I filled a nylon stocking with mothballs and wrapped it around the tires? Would this help keep rodents away? It’s worth a try. It depends on the situation, but I would always recommend using at least two methods. How do mice get into the ventilation system of a car? I think a mouse can get in anywhere. The bigger question is how to get them out. It may require a combination of methods. Where in a car's engine do you put dryer sheets to keep mice away? Most people pin dryer sheets near to the insulation under the hood. Make sure they are not hanging down into the engine. However, this may be one of the less successful strategies, and the sheets need to be replaced often. If possible I would suggest you try one of the electronic devices or traps. It seems that what works for one person may not have any effect for someone else. I found this white cotton like insulation substances and twig like bunches under that inside under top cover of my engine where I check my oil I've only had this 2015 KIA for less than 4 months. At first I thought it came with the car for extra insulation, but then I thought someone hates me and planted it there. Etc. I never thought rodents could've there. I drive at least once a day. What is this? Some people think the soap works, others have seen no effect. Again, it seems that no one thing works for everyone. Multiple defenses are always recommended. Just spoke to a guy in line behind me at the grocery store, he said he puts bars of Irish Spring all along the baseboards of his garage to keep them out. I am doing both mothballs in a nylon sock under the hood (till I know for sure they are not coming back) I also have bars of Irish Spring soap in strategic locations. The engine light is on in my car and the check coolant light keeps coming on. After it was checked, my friend who is a mechanic said that he noticed that mice had been chewing the wires in under the hood and that may also be why the engine light is still own. He advised me to park the benz outside the house until we can clean out the garage. I hate to see this car which has been in the garage a long time, parked out side, gathering pollen. What can I do? 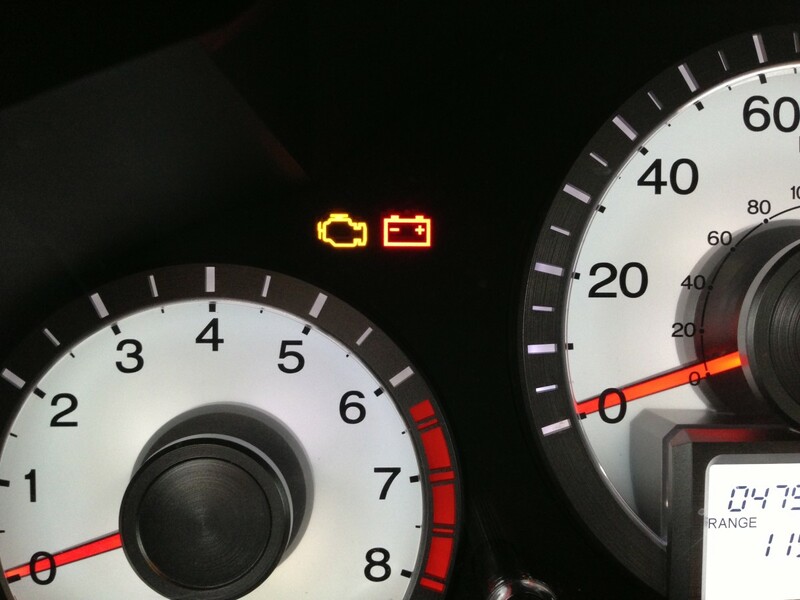 My 2011 Hyundai Accent was running roughly, and then the "check engine" light came on. Two out of the 4 cylinders were misfiring because a rat had chewed the wires and shorted out 2 ignition coils. It cost $400 to fix the damage. Today I bought moth balls and pepper spray, and tomorrow I'm buying PineSol and Irish Spring Soap. I also plan to leave the hood up during good weather. I refuse to let those little pea-brained critters win this war! Yes, you have to be a little obsessive if you have already had the damage. I think you will find that you can obsess a little less as time goes by, but keep up the good work. You may eventually find that the electronic devices are worth the cost, which is minimal compared to repairs. I just spent $1,000 on replacing motor on my steering as the mice, we assume, chewed through wires and other wires near by. I have obsessively placed mothballs under car, in a sock over night inside engine, peppermint oil on tires and rubber snakes. I can not afford another chew through. It's exhausting always trying to remember to go out and set up the car at night. I believe so far so good. I stuffed a stiff piece of a vinyl mattress cover in the engine compartment overnight for several nights, tucking the edges into the space between the engine and the compartment walls. The critter could not reach his favorite place on the intake manifold and has apparently found another spot to eat his dog poop and acorns. The mothballs work but they are disgusting. Remove them before you start your car. Replace by nightfall. I also put them in my shed (in a nylon sock) and have seen no mice activity this year. I asked the mechanic at the dealer I go to for maintenance about electronic devices and he advised against. In his experience they don't work. I'm hoping I can lighten up on the mothballs this spring, and just use Irish Spring soap. We'll see. Tonight, I was ysing the wifi of a store while in my car. The windows were down about 7 inches. I heard a noise in the backseat near the passenger window, but I thought it was the wind. A few minutes later I heard it again. About ten minutes later, there was crunching coming from the vicinity of the glove box. I turned off any noise in the car and listened again. It was definitely a rodent! The darnrd thing came in the car while I was sitting right there!!! I checked the glove box with trepidation and sure enough, in the empty and just cleaned recepticle were 2 small rodent poops. I got my cane, 2 flashlights, and turned the car on with the heat on high. I ran it while I checked under the hood and banged my cane around. No sign of damage or feces. I took everything out of the front seat, banged the cane around some more under the dash and in the glove box. No leaping guests. After about 20 minutes of this, I turned the car off and sat quietly to listen. No more crunching in the dash. Tomorrow, the peppermint oil, mothballs, etc., are going under the hood, in my glove box and the reaches behind it. I just replaced my cabin filter 3 days ago and I will be mad as heck if that beastie chewed it up! It's good that you are taking precautions with the mothballs. Some people have reported success with them. If you are still seeing evidence of rodents, you might consider the advantages of the electronic devices. I am back to putting the moth balls in a nylon sock under the hood when the car is not in use (mostly overnight). I remove the mothballs and put them is a safe place when the car is being used. I don't want the mothballs to get into the wrong hands, such as children or pets. I think they are a good deterrent and I believe wildlife knows not to eat them (I hope). Thanks for the suggestions. Sounds like it could be effective. Please keep us updated. On second thought, I have decided to just put the coffee can with the mothballs under the front of the car at night. Cover the can during the day. Wish me luck! "Has anyone had success with peppermint oil... i'm reluctant to try mothballs as one can imagine the source of heat / air in your cabin is directly related to the engine during use". The peppermint and all the other natural stuff may work as a deterrent, however, you have to reapply it at least once a month and it is pricey. So far I am having good results with the mothballs. I now have them in a coffee can under the hood. Before I start the car I remove them and put the cover on, then a brick on top so it won't blow away. When I park the car for the night the mothball can goes back under the hood with cover off. It's a bit of an inconvenience but at about $3 a month it's better than $2000 at the dealers. If I don't return with an update that means this method is still working for me. I created my own problem, I went with step one leave the hood up. The Porsche under the porch and its acorn stuffed crevices were the haven of choice until i exposed it to the elements. These actions caused the migrant caravan of dwellers to seek shelter in the warmth of the Pontiac Grand Am, my daily driver. Its a non permanent residence but they've stopped to chew and redecorate, on what looks like several weekend getaways. Adorning my engine compartment with dryer sheets, to me seems like i'm adding additional bedding components like blankets for them to use. Has anyone had success with peppermint oil... i'm reluctant to try mothballs as one can imagine the source of heat / air in your cabin is directly related to the engine during use. I would contact the people who make the electronic gadgets and ask them about the affect on pets. I know some of them use flashing lights, light static charges and/or vibration. Others may use high frequency sonics, but those may be brief or localized. It is work investigating. Mothballs can be toxic to pets as well. I agree that they are unpleasant. I forgot to mention that I cannot do the electronic repellants. I have dogs, surely it would bother their ears. I found a ginormous mouse nest under the hood of my car about a month ago. I tore out the hood insulation where the primary nest was and a mechanic helped me with the rest. He charged me a fortune and did not do a thorough job. Anyway, the dead mouse smell is fading, I have air fresheners in the car and mothballs in a nylon sock taped under the hood. The mothball smell makes me sick it is prominent when the car heats up. How long do I have to keep the mothballs there? I drive the car everyday and keep a clean car, no food/clutter. I don't understand why this happened. I am hearing from more people who are finding the electronic rodent deterrents are working best. Maybe you need to try another approach. At least the mouse nests smell better. I put dryer sheets in the engine and the rats used them to make a nest. I show a rat in trunk of my car and hour and I'm furious.I can't stop thinking about what it can do to my car. I think I have to get it check tomorrow. Check out some of the suggestions. I hope you will find some good ways to help you keep them away. eaten, now brake system gone. Live in the Country in Spain and am desperate because obviously not on guarantee. Bought a new 2018 soul kia..n just discovered nest under hood!! 4400 worth of damages! Only have car 6 weeks and so upset over this! !.i guess i will have to try some of these ideas to prevent it from hsppening again n check under my hood daily!! Very glad to hear your success story. I hope others will have a similar outcome. This has been an ongoing problem for us and that is when we found this Hub. So much great information. We chose the Mouse Blocker PRO, one for my truck and the other for my wifes car. Just wanted to share that it has been over a year now and we have not had any mice return to these vehicles. Reading through all the comments there are so many people frustrated with the problem, I figured I would help a bit with the solution we found to work. Yes, it can happen anywhere. You need to do some preventive work or they will return. I don't live in the country (Liverpool) but have just found my 2018 skoda octavia has been home to rodents. they chewed the loom and the plastic casings off the battery. i use the car every day. the cra was fine Saturday but the errors showed on Sunday. the damage was discovered today (Monday). fast workers. there is bread and dropping all in the nooks and crannies. I hope someone else will answer this from their own experience. I think spraying in on the hood insulation, and in the interior might be the best places. That being said, I ‘m not sure peppermint is the best deterrent. It might help,but it will need to be reapplied regularly. So if I am to try the peppermint oil approach, where do I place the oil? Directly on the engine? I have a new Kia Optima Hybrid and certainly do not want any problems. I live in the country and due to lots of work being done in the area, the rats are out of control. @Ed. Buying a different vehicle may not solve your rodent problem. Yo probably should put some deterrents in place. The electronic devices might cost you between $60 and $80 or so, but its far less than the repair bills you could have. We were proud to purchase a Mercedes SUV for a very good price. Sadly, not even a month after we ended up spending a total of $4000 in repairs due to rat damage. We are fighting those things to the core! So the possums and mice started to get in my car , I fixed that I rigged wires around areas that they were getting into , the wires are hooked to and electric fence ticker , the possums don't go anywhere near my car anymore , surprise wonder why ? We are both Californians, so I understand. LOL! I meant proximity of the river. I wasn't thinking about the other rats close by. Thank you Kenna. Were you referring to the proximity of the river or of the State Capitol politicos? What an informative article. It caught my attention because I had a friend who was out $1500 because rat or rats were sleeping under his Toyota's hood at night. That was the first time I heard about it. He lives near the Sacramento River, which explains the rats being nearby. They are tricky little critters. If that was the extent of the damage, you got off lucky. You should probably use some of the suggested deterrents to be safe. I have a 2013 Ford Explorer Sport that suddenly started raining washer fluid on me through the front dome light when I used the rear wiper with washer. Brought it in, they looked inside the headliner pulled out a bunch of the insulation the mouse used to make a nest. Somehow it got in through the engine and crawled up inside the window frame. First time they saw this happen. I've got rats chewing on all hard plastic surfaces under the bonnet of my Toyota Prado, but so far not the wiring. They have destroyed the windscreen wash bottle and left teeth marks everywhere. The vehicle is parked in my drive. I often leave it in the bush (I'm in Australia) and thought that bush rats were the culprits. No longer, I think it is rattus rattus. I'm trying a motion-activated light. I took my 2016 Toyota Prius in for the routine 30,000 mile service and they found rodent damage in the AC system. They are repairing it at a cost of $5,300. Some mice carry the Hantavirus which can be deadly to humans. So I was apparently breathing their feces and urine. This is an important health issue and should be addressed by removing soy and cornstarch from "plastic" including wiring insulation. Poisons are also very dangerous to other animals that eat rodents, including domestic pets - dogs and cats. Improper handling or storage of them can endanger humans too. As I have read through comments I see lots of mention of "poisons". Please do not do this. When you feed a rodent poison, they get thirsty and go for water. Birds of prey and snakes then feed on poisoned rodents and die. Please do not use baits and poisons. Set mechanical traps with peanut butter. Please. I have battled mice in my engine and air ventilation system for over a year in my two vehicles, a Honda and a Nissan. I wasted money on two ultrasound devices; I may as well have piled up my money and set a match to it. I used Bounce dryer sheets and peppermint oil. After every new fix the next mouse nest was more robust than ever. I have read that mice travel in pairs, so a single trap will not suffice. I bought the traps where the door shuts and they are very effective, but expensive since you throw the device anyway. The only upside to these traps is you don't see the mouse. I believe that I may have solved my problem, at least for the time being. I purchased several sets of the Tomcat white plastic reusable traps with the large white teeth. You bait the well with peanut butter, set the trap, and place it inside the car engine compartments. If you can find room, set two as close together as possible since mice travel in pairs. Be sure to put a sticky warning label on your steering wheel so no one drives the car without removing the traps first. The first couple of nights I put traps on top of the front car tires and caught mice in each. Disposal is easy, put on plastic gloves, throw the mouse away and wash the trap in hot, soapy water with a drop of clorox, and rinse well. The other thing I discovered was that the mice were getting in the insulation on the underside of the car hood. They were transporting this insulation into the ventilation fan area behind the glove compartment, mixed with leaves and other junk. I replaced the insulation and then sealed the cover with duct tape. The thing that I can't stress enough is the importance of cleaning the ventilation system as much as possible. The filters are really expensive, even online. But if you find that your in-cabin air filter has been contaminated with rodent droppings and urine, you must replace the filter. Mice carry Hantavirus and other serious disease organisms. When you are removing mice nests and doing the cleanup, wear a mask and plastic gloves. Be prepared to completely clean your vacuum cleaner if you use that to vacuum out the ventilation system. There are commercial disinfectants to spray in your car's air intake, but Lysol spray works as well. I have been dismayed by the flippant attitude shown at my Honda dealer's service department. I get the feeling that they don't care in the least. The money they are raking in on car repairs caused by rodents is substantial. More and more people are blaming those soy- based wire coverings and it does seem that vehicles using those are hit the hardest, even though other cars suffer the same fate. It sounds as if you are doing your best by using a multi-faced strategy. When they replace the wiring do they use the same materials? It is terrible to have so much damage done. Hope the lights work, but I wouldn't stop the other strategies. Had a rodent get into my 2014 Hyundai Sonata about a year ago doing considerable damage to the electrical harness under the firewall and up and around the steering column. Also, considerable damage was done to the rear back seat, trunk covers and a hard piece of plastic. Well guess what!! Something got into the car again last week and again overnight today digging holes throughout the trunk and back set-three times in four days. After the first attack last week I went to Home Depot to get the large RAT TRAP stick pads ,poison pellets and heavy duty rat traps ,traps that can break a finger or worse. I placed the pads inside the car on the floor in front of the front and rears seats .I also placed the heavy traps in the front and rear .I placed moth balls stuffed socks in the hole in the top rear seat hole they made last week. As far as the trunk I placed a moth ball stuffed sock into the hole , arranged a large number of the adhesive traps , spread poison pelts across the entire trunk floor and set the heavy duty rat traps. WELL GUESS WHAT. THEY GOT IN AGAIN OVER NIGHT. DOING MORE DAMAGE. One auto body shop indicate after viewing the damage indicate that it was getting into the vehicle from behind the rear wheels, but not fully sure. I was told that the soy based cable coverings are the cause for attracting the rodents, This environmental BS, if the cause, must and should be covered by covered by Hyundai. Note: all of my other cars -older Chevys, Oldsmobile, rental cars,for years were parked in the same area with no problems. I had a 1977 Chevy Nova Classic parked in the same area for years with no problems. Only this Hyundai. I will place some large lights into the car tonight that are motion activated.- one under the hood, one in the trunk and another in the front and back seats at a cost $ 160.00. I can understand your frustration. They do not give up easily. Have you tried the electronic devices? Let us know if you find something that works for you. Just got an estimate for over $1,000 for our Honda S2000 with rat damage. Have Irish Spring, Pepper Spray, Pinesol, Moth Balls, Ridarat lights in addition to a special drop light running from our electrical outlet and they still got to it. Nothing really works, but might be a deterrent in some areas. Good luck everyone! They took the cotton balls filled with peppermint oil into the spare tire area where they were building a very large nest. I don't know where they got some of the stuff I found in there. I can't figure out how they got inside the car. I was using Rodent Sheriff under the hood on the hood insulation regularly about every 2 weeks for about 9 months and they never bothered it even through the winter. But I let it go for a few months and now it it has been chewed all over it. about half of the cover is completely missing. Now I'm using Cab Fresh inside the car and in the trunk, 2 in the trunk & 2 inside. They need to be replaced about every 2 months. I'm not sure if they are still visiting because I'm not leaving anything they liked before like tissues and paper. But, I think I'll put a tissue in just to see if it's shredded. They chewed a hand-towel I had in the car once, it was shredded. They haven't bothered a map on the backseat. The gas line to our van was chewed 8 times over the last few years and had to be completely replaced. The mechanic couldn't tell if it was a mouse or squirrel. Living in the woods is no fun. I also have a few squirrels that are driving me crazy. When I see one playing mechanic I hit the horn from inside the house. He runs and stays away for awhile, the other one doesn't budge. We tried to trap them with peanut butter and peanuts, but they won't go anywhere near the trap, they look at it but walk way around it. I don't think it helps that the neighbors have horses. I have come to the conclusion that it's time to move. I guess they win. I thought I would have this issue licked before it got started. Living on farmland and having a large carport/ open shed away from our house where we occasionally park a vehicle. I knew the presence of field mice. It has always been a concern as once they did make a nest inside a garden tractor. No damage so I just cleaned it out. Put my trust in our shed night watchmen, the black snakes who love mice. And just as an added precaution I always spread rodent poison pellets behind the walls and around to keep em in check. Parked our Audi A4 there for a couple months and then began to drive it when we got a check engine light and then a foul smell, something like mouse p and something dead. Long story short, mechanic found poison pellets inside the air pump, air filter, and cabin air filter, along with a dead mouse. I remember a story a guy told me about his travel trailer where the mice gathered the poison he had spread around to eliminate them and they carried off and distributed the stuff to other hiding places in the unit. I guess a more tasty, lethal poison may do the trick if something like that is available. Cover the engine with fitted a sheet of metal mesh so they can not get to the insulation under the hood and tear it up for nesting material. It is safe to drive with it in there. Use glue traps and snap traps with peanut butter. Check under your hood every single day. Check all shrubbery to look for nests in your yard. If you cant see light coming thru thru the bush/tree etc, because of a nest -it could very well be a be a rat's nest. Rat nests can be found on the ground as well as up in the trees. Destroy them completely. Dogs/cats are an excellent deterrent to rats. Bob Tanem -the gardener-has a recipe to kill rats suing plaster of paris. Look for entry holes into your house, especially on the roof. Wow! I've had rodent issues on 4 cars, including my new, 2017 Forester, where a little bugger was chewing at the insulation on the firewall, and recently had a check engine light on my 2005 Mercedes C240. I had it in the shop today and a critter got into an area near the gas tank, made a nest which jammed a solenoid open, tripping a trouble code on the computer. This can be real trouble: dead or damaged vehicle, including a real chance of a fire. Thank you for your article – as you point out, it isn't a panacea, but it's a great place to start. I had this happen about a month ago. $150 to repair my 2012 Dodge Ram truck. We live in the country and just about all of the suggestions above are not possible. The mechanic advised us to spray peppermint oil mix all of the inside of the engine. We did that. Last week my engine light came on again. Took it in today and again rat damage. I just had the same problem as one of your contributors. A rat had eaten a large proportion of the rubber tube of the windscreen washer, replaced it yesterday, the rat has now eaten through further down where I can't reach it. I need to get to the washer bottle,thank you Nissan for putting it in such an inaccessible place, I've only got to take the front wing off! I tried many things. Unfortunately (for the critters), the only thing that really works, and that I now continue to use, is a pellet rifle I bought for less than $100 -- a lot less than the $500 I spent to fix the cables the last time. Some sort of critter is wreaking havoc on my truck tires. ONLY my 3/4 T truck - not my SUV or a smaller truck. Seem to particularly love the right passenger tire. Have spent about $2K in replacement tires - another one ripped this AM on the outside so cannot be fixed! It appears that whatever is doing this extremely costly and maddening damage has a sharp, probably pointed tooth that it stuck into the tire and then pulled across and leaves about an inch or so long tear that resembles a pencil line. Usually more than one place. WHAT is doing this and what can we do? We've tried wolf urine, critter repellant spray for vehicles, have built wooden covers that they can apparently get under. I'm broke and so upset at this point. We have a camera to use if I can get it set up - not very technical, but have called a friend for assistance. Anyone???? Thanks --pls email BGarzarek@aol.com. Some people have reported that Irish Spring soap or peppermint oil is helpful as a deterrent. Others have said they didn't help much. I have not heard of using peppermint candy. It doesn't seem that it would be a strong enough mint smell, but if it works for you, go with it. Since you have some proven success with the traps, I would keep using those as well. last 2 days i have caught 2 mice in the trunk of my car, with tomcat mouse ytraps. just started seeing mice droppings n my car. since i use peppermint candy in my house in my kitchen drawers 3 months ago ,i have not seen any mice droppings at all, so i am gonna put in my car. i have heard of irish spring soap working, just might add that also. I live on 5 acres. My car is parked under a carport. This may sound like a ridiculous question but can can you strategically place the dryer sheets under the hood so you can drive the car with the dryer sheets under the hood? And replace them once a week? 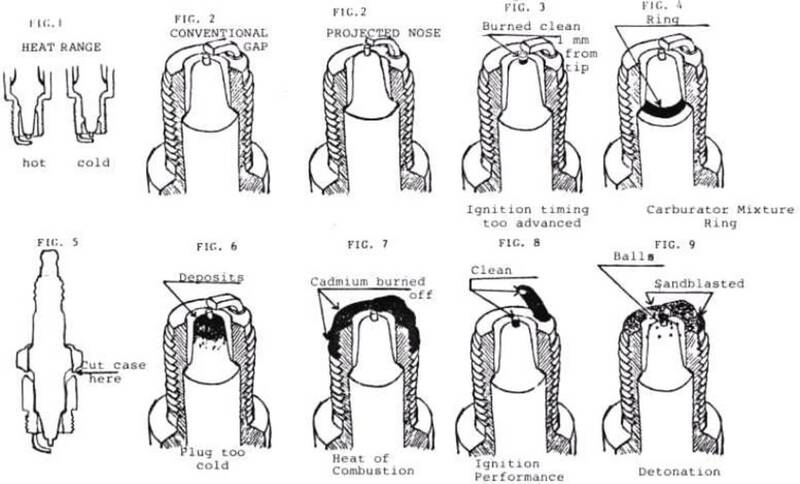 ...or are all these methods for when you are storing a car. I drive my car almost everyday and can't imagine I'll have to open and close the hood every time I leave or come home to remove and replace dryer sheets! Help??? Sounds like a lot of work. I have heard of people making these kinds of fences,and making sure their vehicle is always properly enclosed. If it works, it is certainly worth the effort. Thanks for your suggestion! I took a roll of 18in roof flashing and stood it on its edge,with stakes, and went around a vehicle to stop these pests. It is too high and too slick for them to get over. If they dig under just make a trench to set the flashing in. Yes , I think it is still an ongoing problem for many people. I'm happy you found something that works for you. It crazy how this thread keeps going. Wanted to update everyone that the Mouse Blocker we had installed 2 years ago is still protecting us today. We thank our mechanic every time our vehicle is in for service he and tells us he has saved 100's of cars with this unit. What an amazing device this has proven to be. Just wanted to share our success story and hopefully help others with this same issue. Sounds like a good idea, If it is working for you, others may want to try it. best solution i have found successful is used coil springs wound on the electrical wires. Yesterday i found fuel pipe is chewed, again i used the same technique and found it is safe. Parking in another place may help, but using some of the other suggestions might be wise as well. Traps, Peppermint oil, even electronic devices cost much less than $200. Good luck. We found a fresh nest as big as a person's head on the motor of my Ford Escape. Built out of a pile of clean white fluffy pillow stuffing with a top layer of fresh yellow straw. Don't know where the pillow stuffing came from, but the straw had probably covered spring flowers someone planted too early. Don't see any nearby, though. The critter - whatever it was - also shredded the hood liner and added that to the mess, and it's going to cost me almost $200 to replace. I have to park outside, but I'm parking about 150 feet away for now, to my great inconvenience! I think you are right. Auto design is not the main problem, yet it does make you wonder why certain makes seem to this problem more often than others. Thanks for your comment. I've been working in the auto industry for 30+ years and I've repaired cars with this problem. They just cleared out the field across from me and my wife's GMC had wiring damage yesterday morning. They chased the rodents out of their home to look elsewhere. I AM going to try the mouse blocker and a few other ideas I have read here. I am NOT going to blame the auto industry and blame poor design. We have a rodent problem, not a car problem. Do defective, poorly designed forks make you fat? Do defective, poorly designed pencils misspell words? Come on, you have got to be kidding me with that stuff! It looks like the rodents caused a very expensive problem for you. If the repairs are done with the same soy materials won't that set up the same situation? I hope you can find some good deterrents. I have another hub that summarizes the reader suggestions posted here. It is very frustrating since you rarely see the culprits before the damage is done. Maybe you can get your mechanic to go to bat for you to help bolster your insurance claim for the additional damage. In the meantime, I hope you can find a way to prevent further damage. Condolences. I just had to have all my engine wires replaced in my car from a Rat eating through all of them. Now that the wires are replaced it seems like I have a blown head gasket. My car was in the garage from Thursday evening through Monday morning when I went to work. Oddly my emergency brake light was on. I worked all day and drove home Monday evening and went out to start the car Tuesday morning and it wouldn't start that's when we found all the rat damage . My insurance paid to repair the wiring and now they look like they are gonna deny the blown head gasket. Thank you, Please do update with your results-- there are a lot of people who are interested. I will surely try all of this to get rid of the pest in my engine....I will update you if it worked!!! I can't help -- maybe someone else has a suggestion. Chances are you'll need a mechanic, make sure he knows the details. I just found a mouse nest on the intake manifold side of the air filter in my diesel van (E350), MEANING it must have come through the tail pipe - I guess. The van was running rough, and not accelerating to over 40 without a downhill to help. I removed the nest with 4 "pinkies" in it and the shredded tissue. No sign of mom - I suspect she was sucked in and has clogged the fuel-air injection area... ANY SUGGESTIONS (other than expensive repairs)? Thanks in advance! Glad to hear you found a solution. I had rodent accessing my truck when left in the garage while in Arizona. First winter my truck was damaged, next year I tried the home remedies on the Lexus, nothing but gnawing results. The past three years I installed an item called the Rodent Diverter System or R.D.S. for short. Best $49.95 plus shipping & handling I ever spent. Bought it direct from the inventor, he only needs the vehicle tire size. Works on all vehicle axle configurations including aircraft. Thanks for the comment, Saharian. It sounds lie you got off pretty easy. Hope the suggestions help prevent additional damage. My mechanic told me that making sure I run my car once a week during the harsh Wyoming winters should solve the problem. I just had to get 6" of wire replaced. I was lucky that the damage wasn't worse. Thanks for the additional ideas to prevent this from happening again! That might work. It sounds like a big project, but it might turn into an idea that can keep them out. I'm sure a lot of people would like to know how it works for you. In the meantime, you might try a couple of the other suggestions. My handicap van was in the shop for several weeks and had thousands of dollars of damage and all of it is still not fixed. Being on a fixed disability income I cannot afford it. I am thinking about having a hardware cloth cage made for my front 2 tires and electrocuting them. I live in the city so I have to make sure it is clearly marked. If I were in the country I would make a cage using 3' tall 1/4" square hardware cloth that my car would fit inside leaving an opening to drive in and openings for the doors. I would close that cage tight and wire it with a 110 or 220-volt charge. Make sure there was no way to crawl under it and the openings in the back and on the sides were TIGHT so they wouldn't squirm through. No matter if they tried to get out or go in that would be the last thing they did. Make sure it is clearly marked on all sides so people would be aware of it. That is a fool proof way of making sure they don't bother your car again. What a scary experience. I'm sure there have been some tragedies caused by such damage. The repair bill was a shock in itself. I hope your insurance covers it-- make sure they get copies of the pictures. Glad to hear there were no injuries, and good luck in your extermination program. Recently, my brakes went out as I was driving into work. I had my foot floored and still wouldn't stop. Luckily I wasn't going fast and used the emergency brake to stop the car. I had the car towed and come to find out I have over $1,500 worth of rat damage to my BMW. Chewed through the main line through my brake booster hose, ate through the coolant hose. Once the mechanic took apart the intake manifold found that it chewed up and destroyed other wiring. I have seen the pictures of the nests from the insulation in my car along with the mounds of rat poop. The mechanic says it reeks of urine under my hood. I cannot afford to have this happen again. I will try to have insurance cover this and make sure the traps are inside my garage, as well as the front of my house. I officially hate rodents. This is no laughing matter. Thankfully I didn't get in an accident and hurt anyone else as a cause of these pesky rodents. Thanks-- though I think it is actually a pack rat. Not sure. A lot of people like the peppermint oil deterrent. It can be effective for certain species, and at least it makes your car smell good. You need to remember to apply the oil on a regular basis, as the scent will dissipate. Between the kitties and the peppermint, you are on the right track. I used to live in the country and mice were a very real issue. Our kitties helped out tremendously though in the home. Now that I am in town we have never had any trouble with these pests but I have been reading a lot of online articles. One technique that I was very thrilled to see was simply putting out cotton balls dipped in peppermint oil. I guess they just cannot stand the smell so I really like that suggestion. Natural and would smell great to us but not the rodents. You're lucky they didn't like your wiring system. A little prevention could be well worth your time-- especially since you have seen evidence of their presence. Some really good ideas. I have seen "indications" that they have visited, but so far no nesting. Did have a car where they were eating the air filter. I thought I was just at their mercy, but now you have provided some options to deter them. I think you are going to have to construct a comprehensive strategy. It may involve getting a professional exterminator involved. If all of the fork lifts are housed in one location, you might have to concentrate on 'mouse-proofing' the garage. Sometimes it depends on what type of rodent you have. If you try ultrasonic repellers on one area and traps and bait in in other, you might get a clue about what works best in your situation. Scan the possibilities listed in the article and try a few. Good luck. The customer a mint on repair. Sorry to hear about your problem-- so bad, especially when it is your Pride-and-joy new car. Some people have found peppermint oil to be a good solution. Seeing that you had a stinky problem, it might help in more ways in one. Make sure you reapply the oil frequently. I would strongly recommend that you use at least two methods for awhile, especially since you may have rodents that know where your car lives.The little beasties are so sneaky, you never know they are there until the damage is done. I have a 2014 Mazda 3. Today when I went to start it for work after I turned it on it smelled like rotten eggs REALLY bad. That was my first clue. Then I put it in reverse to get out of my garage and my car started sputtering and dying out. I was so mad, it's literally an 8 month old car!!! So I got it towed to Mazda and got my rental for the day. I followed up with them around noon and that's when they told me. A rodent (probably a rat) made a giant nest in my engine and ate a bunch of stuff to the point if disabling my car from driving. 300$ later I'm about to pick my car up nice a fixed. I will not be parking anywhere near my garage tonight though and will try the peppermint oil. They better not come back. :( I should probably warn my neighbor so they don't try to move on to his car. I didn't even know this problem existed until today. So annoying.